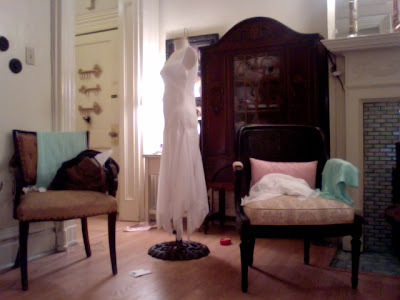 Just thought I'd share a picture of the 20s dress in progress! This is the last one that I need to complete...and definitely the hardest to construct. Fortunately for me, my draping class will be covering bias in depth this semester. Something that would have helped me greatly on the project.